The Metropolitan Cathedral Basilica of San Lorenzo is the main Catholic church in the city of Santa Cruz de la Sierra, Bolivia. 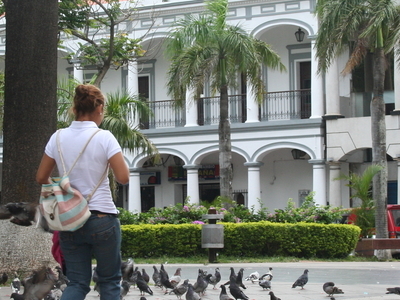 It is located in the city center, opposite the Plaza 24th September. The first church was built by Fray Diego de Porres Mercy during the times of Viceroy Francisco Alvarez de Toledo. In 1770, Bishop Ramon de Grassy rebuilt this church and instructed the sexton Don Antonio Lombardo execution of works. At the time of Marshal Andrés de Santa Cruz (1838), the old church was replaced by a new eclectic style church, designed by French architect Philippe Bertres. This construction is notable for its wooden vaults and pictorial decoration which covers them. On the main altar there is a part of the original silverware coating of the Jesuit mission of San Pedro de Moxos. Also on display here are the four sculptural reliefs from the same mission. Here's the our members favorite photos of "Churches in Bolivia". 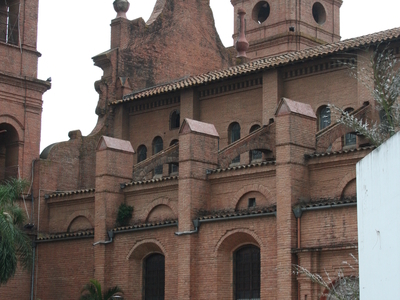 Upload your photo of Metropolitan Cathedral Basilica of San Lorenzo! Jose Diaz is the only Touristlink member to visit Metropolitan Cathedral Basilica of San Lorenzo. Have you been here? Click here to save it.